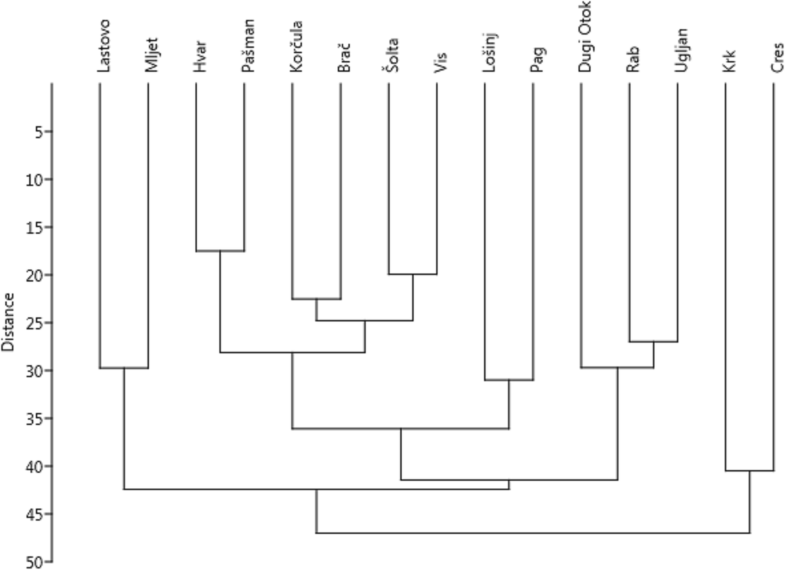 The reason island biogeography theory has not been tested in ethnobotany stems from the extreme complexity of the relationship between humans and plants. For instance, two communities using similar resources and living in the same or neighbouring areas may differ in plant use . Moreover, humans migrate, and it would take very isolated islands and low technology to keep most human individuals from ever leaving their ancestral island. We should, however, keep in mind that living on islands might sometimes limit migration and reduce the exchange of human knowledge. 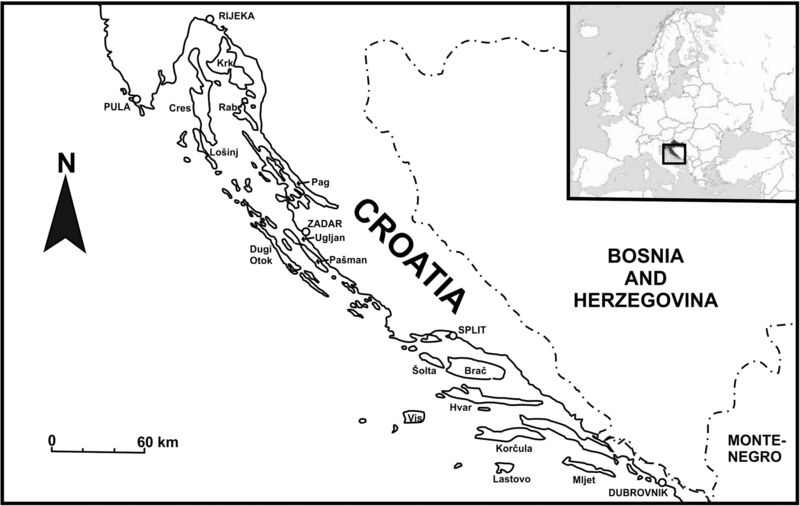 The communities on the Eastern Adriatic Islands in Dalmatia, Croatia, which are the object of our study, have been extensively studied anthropologically (e.g. [7, 8, 9, 10]). The people living on islands more remote from the coast display an unusually high degree of genetic isolation, endogamy and inbreeding, and even now, in the times of tourism, the percentage of indigenous island population varies between 70 and 98% . Thus, most inhabitants, even if they have travelled or lived outside the Adriatic islands, are usually associated with one island within the researched area. 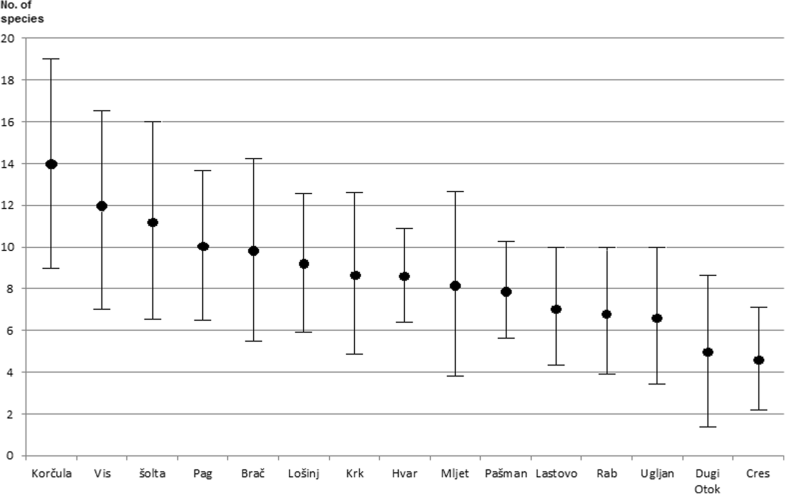 The aim of our study was to find out whether island characteristics had some influence on plant use patterns. We chose wild vegetables as the studied domain of knowledge. Their use used to be widespread in Mediterranean agroecosystems but is now declining due to changes in modern diets and lifestyles and the intensification of agriculture [15, 16, 17, 18]. This also holds true for a few of the coastal areas on mainland Croatia and Herzegovina that we studied previously, as well as the island of Krk [19, 20, 21, 22, 23, 24, 25]. Using wild vegetables can be seen as one of the typical features of the Mediterranean cuisine and lifestyle [18, 26], and it has been highlighted that the use of numerous species of wild vegetables is more common in the south than in the temperate parts of central and northern Europe. We selected the 15 largest islands, those with an area > 40 km2 (Table 1, Fig. 1). The study was performed between 2013 and 2018, with most interviews conducted in 2016 and 2017, in seasons when wild vegetables can be found (spring or autumn). 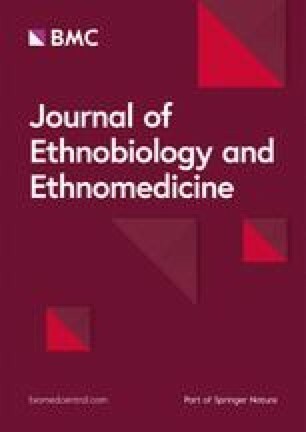 We applied the classic methods of ethnobotany [28, 29, 30, 31]: in-depth semi-structured interviews starting from freelisting and supplemented, if possible, by walks around the places where the respondents gathered plants and could identify the supplied names. On each island, we interviewed 15 key informants (those who know and collect wild foods) recommended by inhabitants, villages leaders, etc. Some key informants were also selected from people found working in the fields and claiming that they still collected wild food plants. The interviews were performed in Croatian, the native language of the inhabitants. The interviews concerned different aspects of plant use, but here, we present data only about wild vegetables. The general question of which ‘wild vegetables’ people used for food was supplemented with questions about ‘edible asparagus-like plants’ and wild vegetables preserved in vinegar, as some respondents tended to forget these plants when asked only about ‘wild vegetables.’ The category of asparagus-like plants is an emic one. It consists of plants whose young long shoots are eaten. Although the wild vegetables used on the islands are very similar to those on the main coast of Croatia, their preparation differs slightly (Fig. 5). On the islands, people tend to cook the wild vegetables only for a short time or eat them raw, whereas on the mainland, the vegetable mix is often cooked for 20–30 min [19, 20, 21, 22]. Asparagus spp. and asparagus-like plants are usually prepared separately, boiled or fried and eaten with eggs. Tender, bitter Asteraceae, such as Cichorium, Crepis and Taraxacum, as well as Diplotaxis, Portulaca and Papaver, are eaten raw or only briefly boiled. C. maritimum shoots and Capparis orientalis Veill. flower buds are marinated in home-made wine vinegar. Other species are usually mixed and boiled. 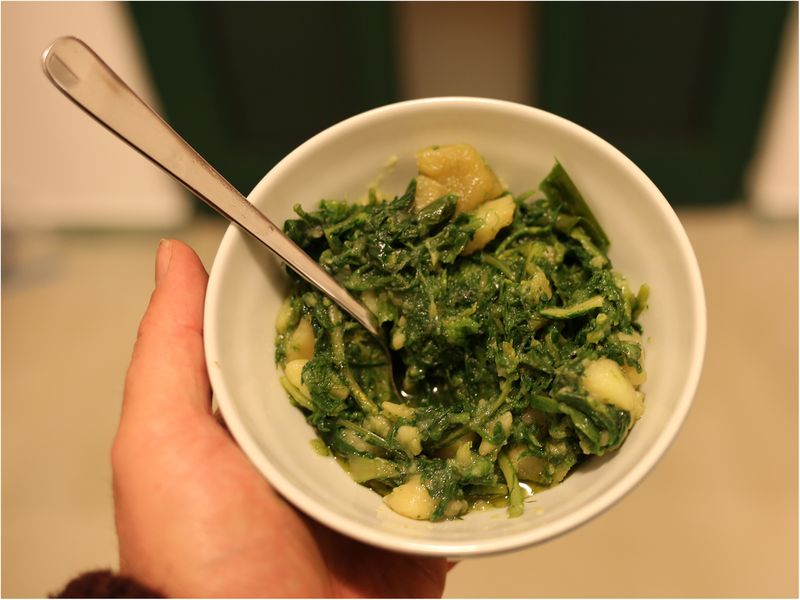 Wild vegetables are often cooked with one or two potatoes and served with plenty of olive oil (Fig. 6). The mixed wild vegetables are usually called interchangeably divlje zelje (literally ‘wild herbs’) or mišanca (literally ‘mixture’), with small phonetic variants of these names depending on the dialect of the particular settlement. For example, on the island of Rab in Palit, we recorded the name mišancija, in Banjol mišjanca, and mješanca in the town of Rab. The largest variety of names for the mixture occurs on Brač with parić in Sumartin, parež in Gornji Humac, porež in Pražnice, Pučišća and Škrip, divljač in Pražnice, poreč in Nerežišče, pareš in Bol, divjo zelje in Dračevica, Mirca and Milna, and mišancja in Gornji Humac. Around the town of Cres (island Cres), the names are divljina or the Italian word erbate. On the island of Korčula, the western part (Vela Luka and Blato) uses the name gruda and the eastern part (e.g. Čara and Žrnovo) uses the name parapač. Pakojeć is the name used on Lastovo, whereas on Mljet it is called pakoleć and podparuša. On Vis, it is called gorko/gorku zelje (literally ‘bitter herb’) or divjo/divlju zelje. The list of wild vegetables used is very typical for the Mediterranean areas of Europe [15, 16, 26, 42, 47, 48, 49, 50, 51, 52, 53, 54, 55, 56]. It is also similar to those recorded in other parts of Croatia [19, 20, 21, 22, 23, 24]. Out of the recorded genera, we have not found any whose use is specific only to the Adriatic Islands apart from seagrass (Posidonia oceanica (L.) Delile). The basal parts of the shoots of this monocot species were used to be eaten as a snack on Korčula and Vis. Unfortunately, no traces of the traditional use of seaweeds have been recorded. Another interesting find was the custom of eating raw tubers of Bunium alpinum Waldst. & Kit. s.l. on Pašman and Brač. We have not found any other food uses of these two species in world literature, though other Bunium species are widely known to be used as food. For example, in Spain, three species are used, Bunium balearicum (Sennen) Mateo & López Udías, Bunium macuca Boiss and Bunium pachypodum P.W. Ball . Yet, another interesting tradition is eating the flowering shoots of the parasitic Cytinus hypocistis (L.) L., which is still widely known (though its practice ceased a few decades ago) on the island of Pašman. 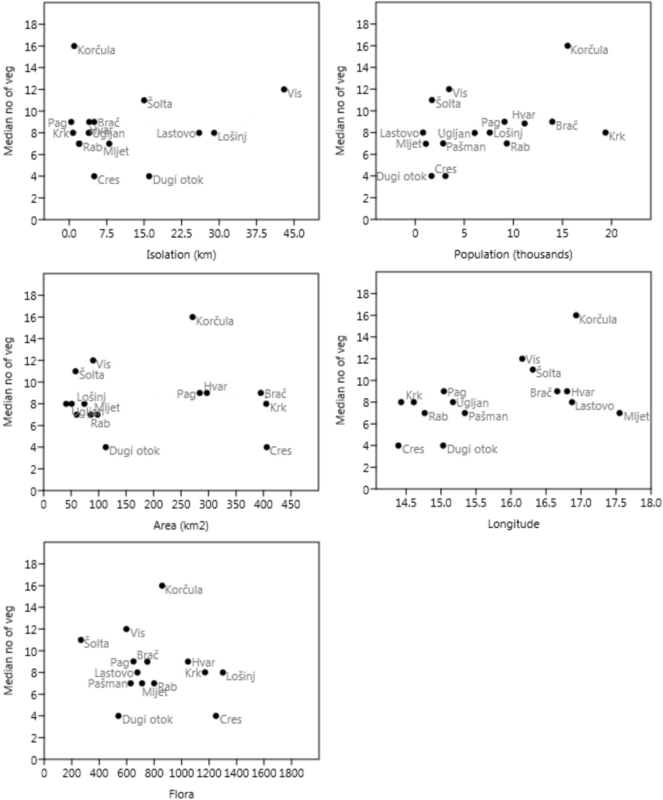 The consumption of C. hypocystis was reported before only from small localities in Spain, Portugal, Turkey and Greece [46, 47, 48, 49, 50].